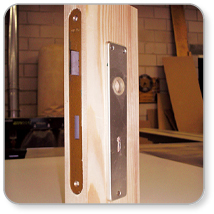 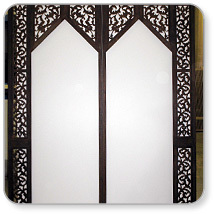 The profiling of door-edges, as well as grooving the holes for lock and hinges is accomplished in one single session. 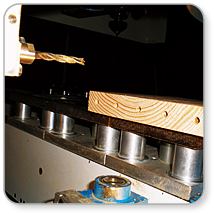 Horizontal and vertical drilling, the planing of large surfaces, profiling the edges of panels and the milling of hinge holes. 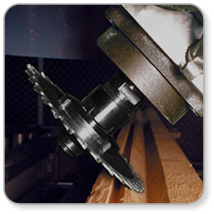 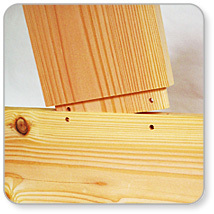 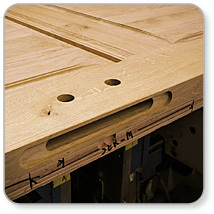 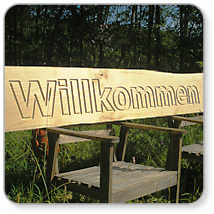 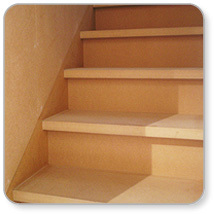 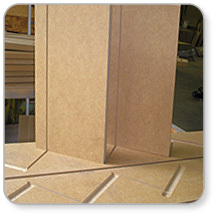 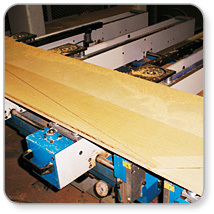 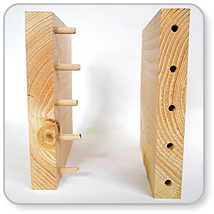 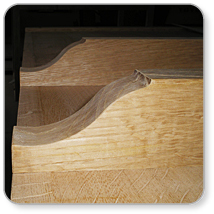 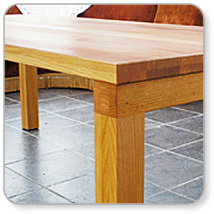 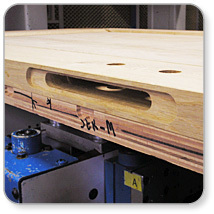 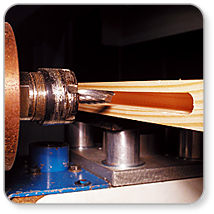 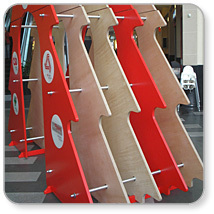 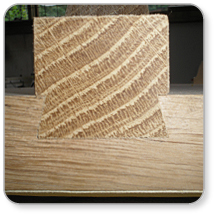 The accurate making of the edge joints of the different wood parts, facilitates their later assembly. 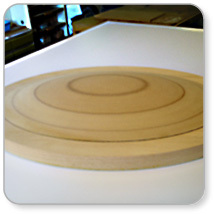 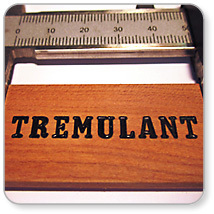 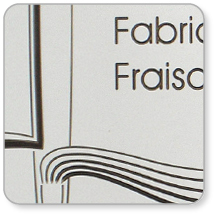 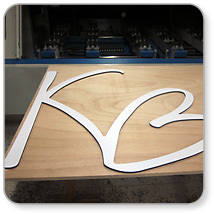 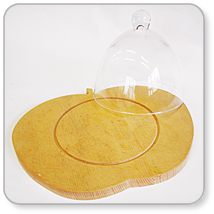 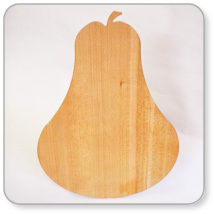 Each form is cut with great precision, its edges bevelled, rounded or profiled. 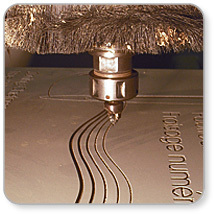 Texts & images are applied in various materials.